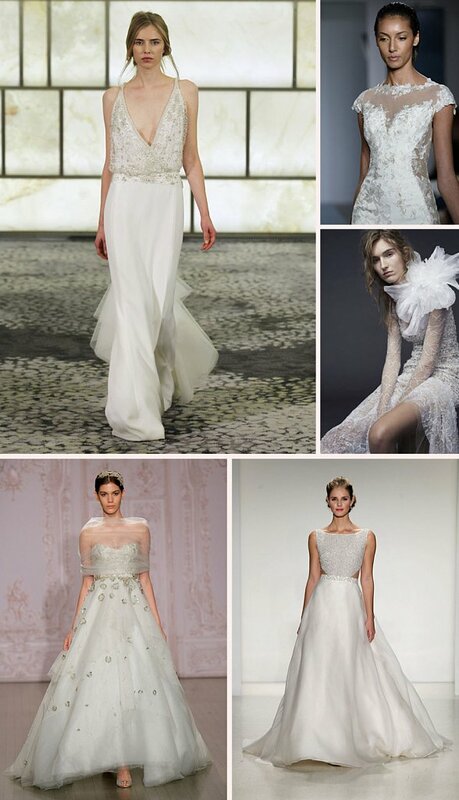 Fall / Winter 2015 is shaping up to be exciting in the wedding dress department! 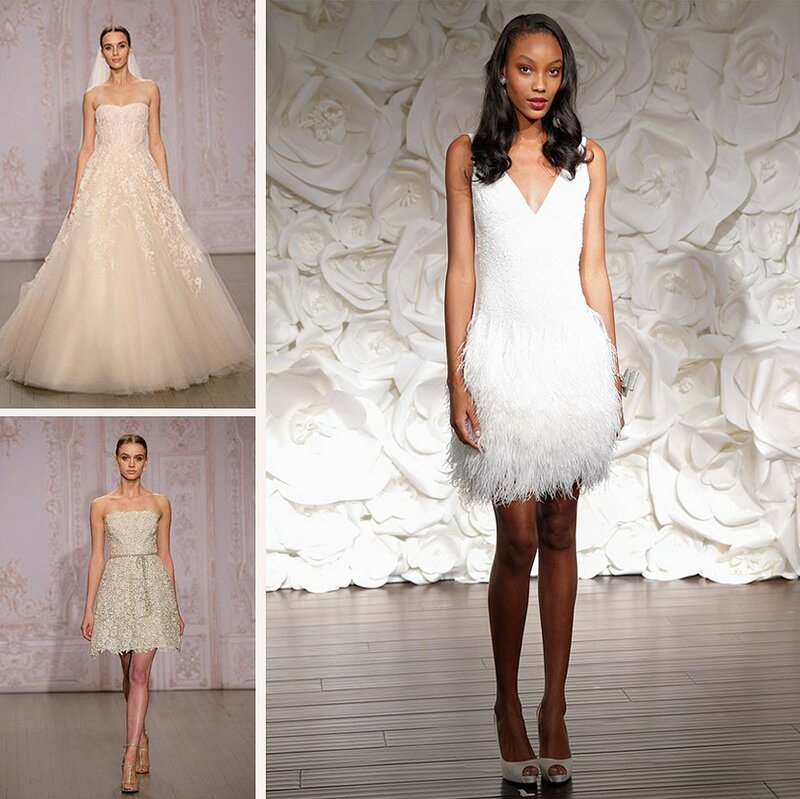 From plunging necklines, short hemlines, feathery skirts, long sleeves, open backs and an array of crop tops were some of the emerging trends spotted on the recent bridal runways! Also exciting is the introduction of color in many presentations. I have collected some images here to get your imagination going! Clockwise from top left: Rivini By Rita Vinieris, Mark Zunino, Vera Wang (She styled this look with black combat boots. SO cool and contemporary), Anne Barge, and the always breathtaking Monique Lhuillier. L-R: Rita Vinieris, Sareh Nouri, and Romona Keveza Luxe.